The Flashtag writers will be performing at the third outing of the shiny, sparkly, newly relaunched live literature night Verbose, on Monday 23 March. We’ll be presenting new work, old favourites and even some super-duper visual presentations. It’s at Fallow café in Fallowfield, a great venue, and our very own Sarah-Clare Conlon is the host. 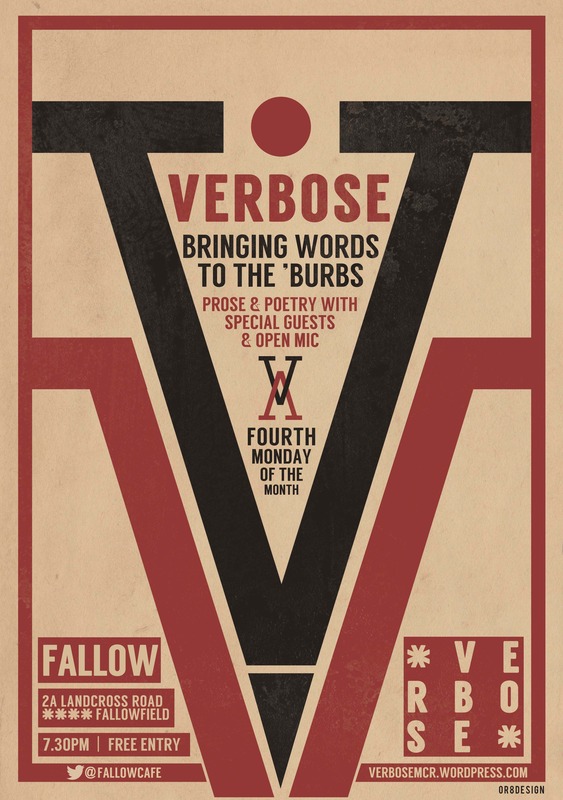 Taking place on the fourth Monday of the month, Verbose features performances by special guests, along with a popular open mic for prose and poetry readings. The event is free entry and doors are at 7.30pm – get there early to bagsy a seat. 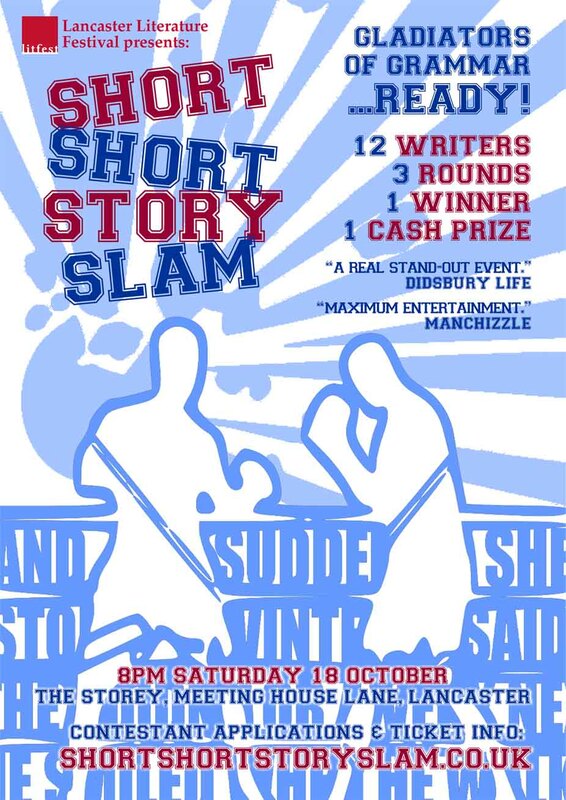 Our next Short Short Story Slam takes place in Lancaster as part of Litfest, on Saturday October 18, and we are open for applications. Fighter writers: do you feel the passion stirring in your fingers? Do you fancy having a stab in our inkthirsty battlecage? Do you like cold, hard cash and all you can exchange it for in shops? All you need to fight are three stories of no more than 200 words each and the guile to read them out in front of a voting audience. The slam is brutal, but the prestige is huge. Take a look at our mega important rules on www.shortshortstoryslam.co.uk and then drop us an email on flashtagmcr[at]gmail.com. It’s never too late to apply – but there are only 12 spaces available so get in there quick. October 18th, 8pm, Lancaster. The battle is on! The Slam is back! 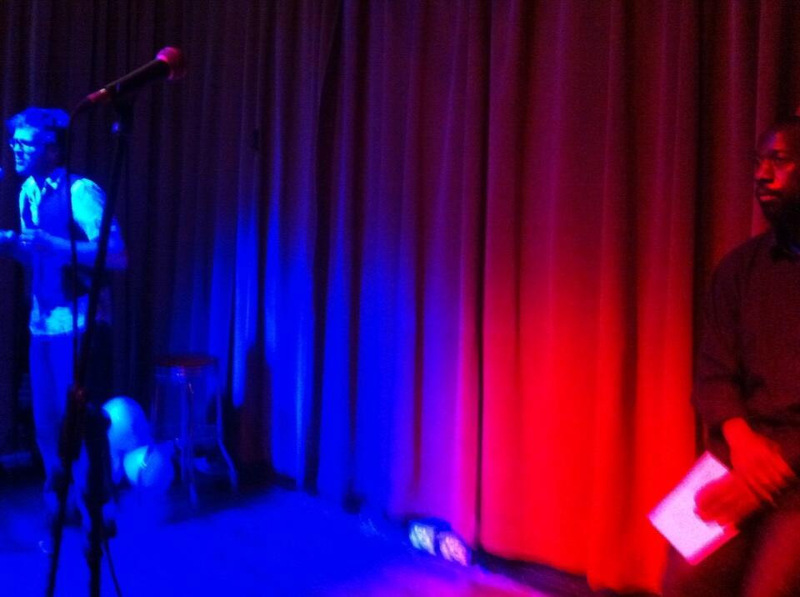 On July 8, we return to Manchester city centre with our fun fiction fight, the Short Short Story Slam. Authors and short story scribblers will take to the red corner and the blue corner to become the ultimate gladiator of grammar. It all takes place at Gullivers, Manchester at 7.30pm on Tuesday July 8th 2014. Entry is a mere £1. 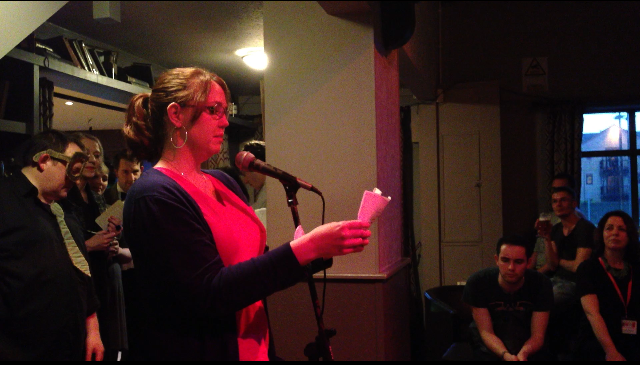 Our last Slam in April went down a storm. Manchizzle called it “maximum entertainment“, one contestant learnt a whole new writing process, while April’s winner Simon Sylvester called it “wild and wonderful“. You can take part if you want to. There’s cash to be won. 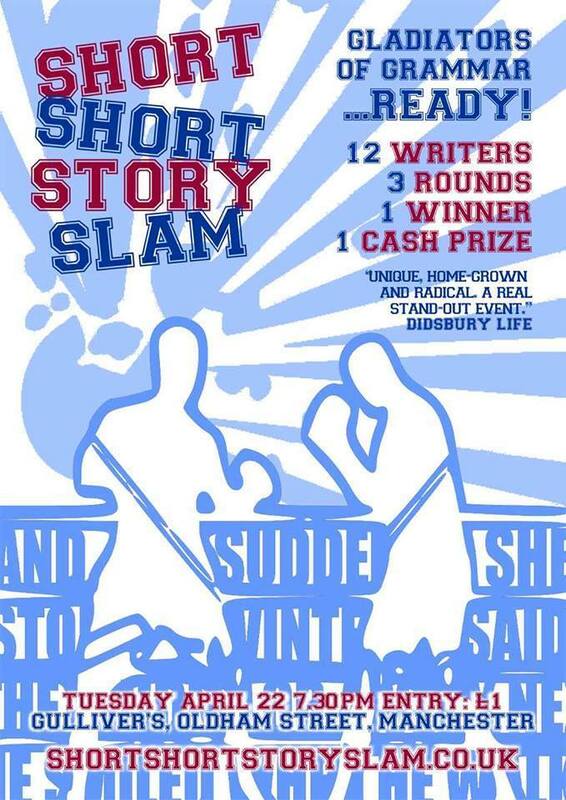 All details are on the Short Short Story Slam website. Catch us in Chorley on Saturday April 26 for What’s Your Story Chorley, a day of writing events run by Chorley Council and the Creative Network. 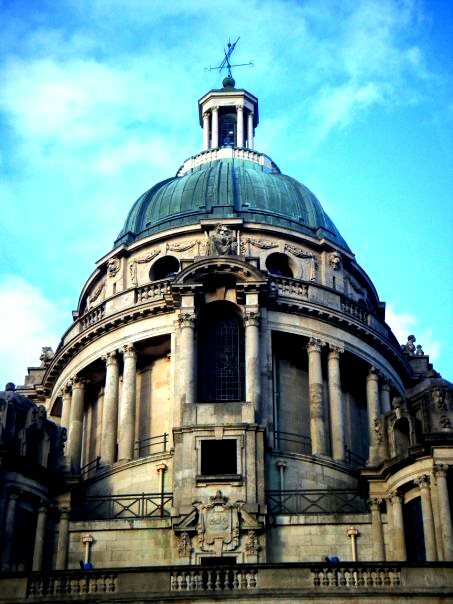 The Manchester-based writing group presents strange and wonderful tales. Prepare to have your creative mind stretched, polished and tickled. 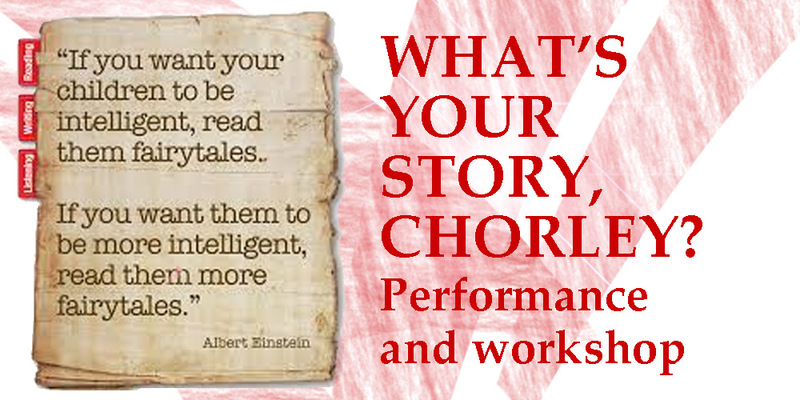 The Manchester-based group will talk through their own writing experiences – and the skill of performing that writing. Promises to be great fun! Do come along. Eyeball the full programme here (please note that despite the text on the 12 noon event, this one is a performance and not a talk as such). This Saturday, #Flashtag makes its triumphant return with a bumper ninety-minute set during the NQ Pop Up Festival. Not content with putting on the ‘best literary night every seen by human eyes’* during the Didsbury Arts Festival, the #Flashtag writers will be taking to the microphone at 3.30pm in the Bay Horse as part of the Festival. Entry is FREE. 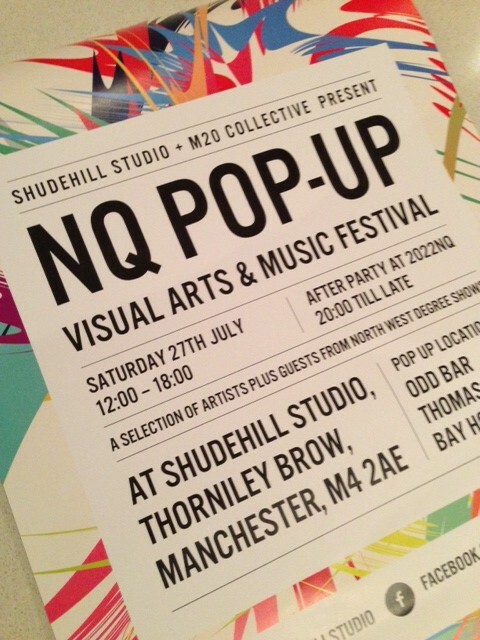 The NQ Pop Up Festival has been devised by the M20 Collective and Shudehill Studio, a new creative space in Manchester city centre. The festival is a celebration of visual arts and music and takes place in venues across, wait for it, the Northern Quarter. *No one really said that. They didn’t need to. They said it with their eyes. We’ve counted the dead and erected the monument in the memory of the slaughtered brain cells. Yes, we are all quite, quite hungover, but we are also very happy indeed with last night’s battling. Eleven hardy souls took to the stage at The Albert Club in Didsbury and bravely bashed and boshed through our cruel, cruel tournament of words. Eleven became seven became three in a mathematically confusing tussle, and one won the crowd and emerged the victor. So congratulations again to Trish Starbrook – a true star. Trish had never performed on an open mic stage before last night and she left seasoned pros and published writers in her wake. A stunning victory. Massive thanks are due to Didsbury Arts Festival for having us again, and to all our contestants: Joy France, Nija Dalal, Joe Daly, Stephen McGeagh, Abi Hynes, Sian Rathore, Zach Roddis, Hugo Lewkowicz, Lee Moore, & Michael Conley. You were all superb, you really were. 3rd: @ClareKirwan (Clare Kirwan): We buried the dog in the garden, disturbing dahlias, soiling the patio, muddying the hall carpet. It’s what he would’ve wanted. 2nd: @SwiftTwit (Ralph Swift): He couldn’t shake the feeling he’d forgotten something, as he stepped out of the Batmobile, the wind ruffling his hair. 1st: @Clenpen (Cathy Lennon): She saw the ring in her dessert and squealed. Her dad shook his hand. He blanched and the waitress he’d groped looked on, smirking. Congratulations Clare, Ralph and Cathy! We will be back soon with more literature shenanigans. But for now; at ease, soldiers. Can you tweet a story in 140 characters or fewer… including the competition hashtag? Give it a go now, including #daf140 in your tweet, and you will be entered into the One Forty Fiction competition for Didsbury Arts Festival. Closing time is this Saturday at 10am. The Flashtag writers will judge the competition and announce the winners as part of the Short Short Story Slam we’re running on June 28. Get tweeting. Click here for more about the One Forty Fiction competition.